In recent times we've noticed an increasing number of popular restaurant operators not simply expanding, but cleverly replicating a winning brand across multiple locations. 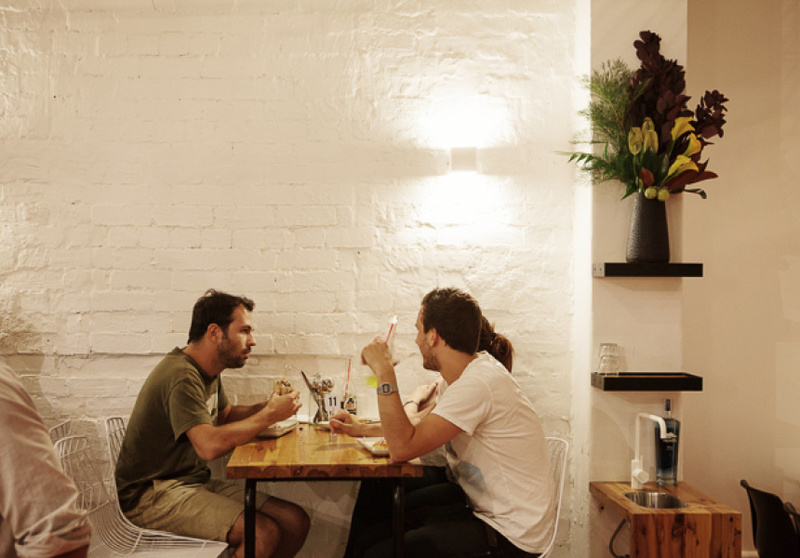 We spoke to five Melbourne business owners about their approach to thoughtful duplication. 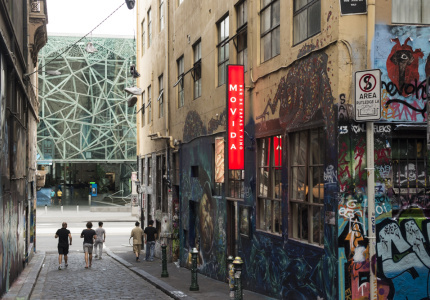 For a market that has traditionally been unashamedly cynical of chain restaurants and tall poppies, Melbourne looks to have undergone a significant attitude readjustment in the past couple of years. From names like MoVida, Ladro and DOC to coffee houses such as Padre, Dukes and St ALi, various well-respected operators have successfully transplanted their brand to new locations, and as far as we can tell, no one’s complaining. Nor are they making claims about jumped sharks or lost credibility. Perhaps it comes down to the fact that the city’s population growth and a prevalence of no-bookings policies mean that all too often, eating out has almost become a competitive sport. But apart from increasing our chances of actually getting a seat, the other good news for diners is that today’s ‘chain’ operators aren’t solely out to build empires, nor are they being precious about potential claims of ‘selling out’. In most cases, they’re pragmatically adapting to an increasingly tough market in order to stay afloat, and at the same time spreading the love and giving more customers more of what they want. 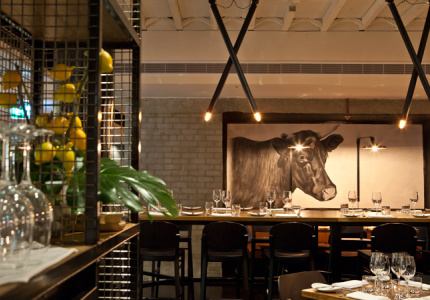 With notable local closures from restaurants such as Giuseppe Arnaldo and Sons, Libertine, Louie, Little Hunter, Senoritas and Mercy Bar this year, it’s little wonder restaurateurs are looking towards a more viable, sustainable (and crowd-pleasing) approach to business. At the low-to mid-range, we’re seeing destination eateries leverage their popularity to cater to a growing market of diners who are looking for an accessible, unpretentious and authentic experience at – most notably – an affordable price point. And it’s not just Melbourne either. Rice paper roll queen, Nahji Chu is set to expand the Misschu empire internationally, with her sights set on opening branches in Paris, London and Manila, while several of the operators we spoke to clearly indicated ambitions to migrate interstate – having identified the requisite hungry markets to match. 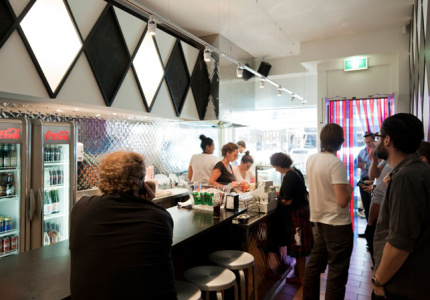 Sitting kerbside on Smith Street with co-owners Jeff Wong and Dante Ruaine, you get a sense that it’s unlikely the team behind Huxtaburger would’ve engaged any demographers or marketing experts when planning their first burger joint. Along with owner-chef Daniel Wilson, it’s clear that the boys know the strip and its populace well, and with a couple of years under their belts running Huxtable they’d seen enough to know how things rolled on Smith Street – particularly the late night trade. “Apart from a couple of kebab shops, there just wasn’t much on offer in the way of good, casual, late-night takeaway. Yet the pubs and bars had masses of people spilling out nightly, so there was an obvious niche,” explains Wong. 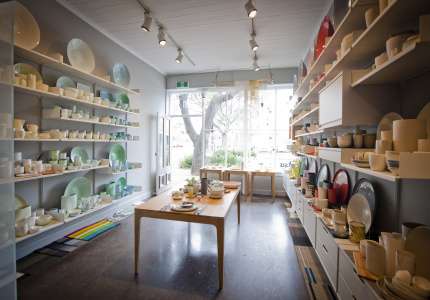 When the Smith Street shop opened in late 2011, its popularity was immediate; “We got hammered straight away - and it pretty much didn’t stop,” says Wong. According to the team, opening more than one outlet certainly wasn’t a conscious thought initially, but after several months of relentless trade, mammoth line-ups and an undeniable buzz around the brand and the product, it soon dawned on them that maybe it wasn’t just a one shop proposition after all. “The consistency [of trade] was reassuring, so it made sense for us to leverage that and open up a second. We were also keen to explore a different market,” says Wong. They opened their second, equally popular Huxtaburger in the heart of the business district in March this year, and a third in Prahran in November. As simplistic as it might seem, much of the business’s remarkable success has come down to it having a strong product: “It’s just a really good burger,” says Ruaine. This - combined with an uncomplicated brief (burgers and beer), an accessible price point and a fun in-house experience - goes some way to explaining the brand’s wide-ranging and supremely transportable appeal. Despite talk of a potential interstate outlet, the team is still keen to take it one shop at a time and they’re mindful of not getting too far ahead of themselves, “You’re only as hot as your last gig, and you’ve always got to factor in a flop,” says Ruaine. “So whatever comes next will be a really measured move”. George Calombaris knows better than most just how economically unfeasible things have become for restaurateurs in Melbourne’s high-end dining scene. The way that we eat out and spend our money has changed dramatically, and despite the credibility and awards bestowed on chefs catering to the pointy end of the market, the narrow profit margins, soaring labour costs and an overall decreased demand for formal dining mean that many operators at this level are struggling to stay afloat. 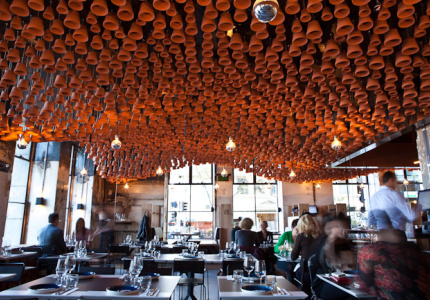 Calombaris’s decision to close (and in due course, downsize and relaunch) his flagship two-hatter this year – in order to shift his focus to rolling out mid-range Gazi and glorified take-away souvlaki bar Jimmy Grants – appears to be one that is paying off. He says he’s been humbled and pleasantly surprised by the instant popularity of ‘Jimmy’s’. Indeed, stepping into the Fitzroy shop on any given night you’ll be hard pressed to get through the door, far less be seated (or fed) straight away. Not that it’s putting anyone off; customers can routinely wait up to 45 minutes for their order to come up but the majority of folks seem perfectly happy to sit out the wait with a few cold Mythos from the bar. Despite being crammed and rowdy, the overall vibe is one of fun; plus prices are cheap (around $8). It also doesn’t hurt that George’s souvas are exceptionally tasty. 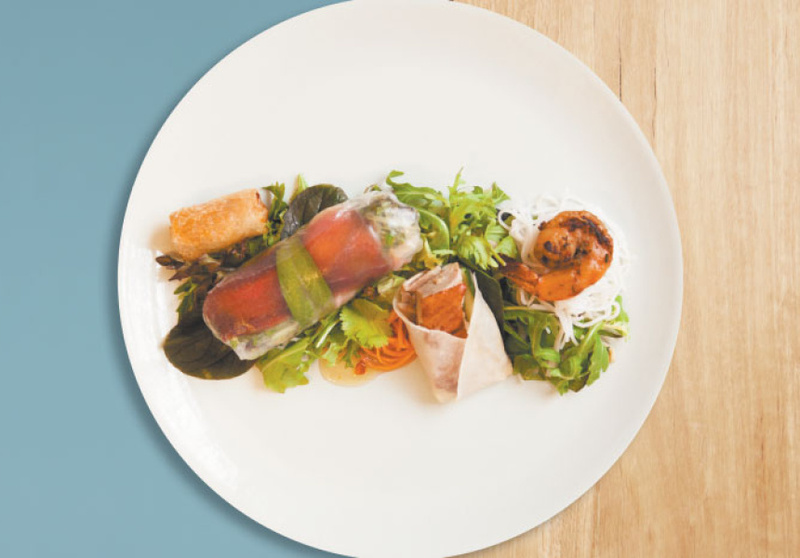 “What I wanted to do from the get-go was give people five souvlakis and just do them really well; make them healthy, make them delicious – simple as that,” says Calombaris. 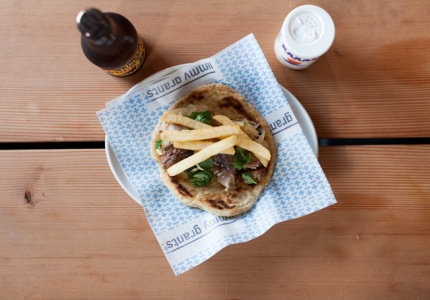 With plans underway for two more Hellenic Republic venues and at least another two Jimmy Grants, the Calombaris souvlaki train is showing no signs of slowing down. 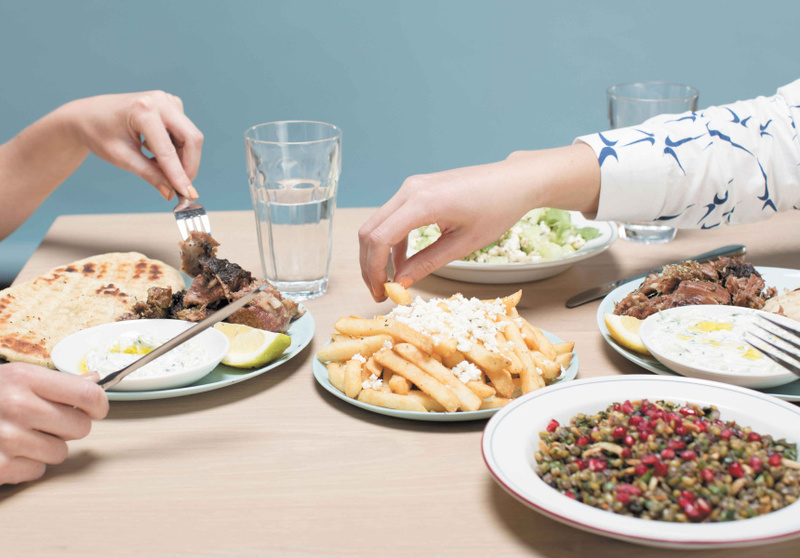 The ex-St Katherine’s site in Kew will soon reemerge as Hellenic number two, and in early 2014 the former Hobson’s Bay Hotel site in Williamstown will welcome a Calombaris double-header with Hellenic (the third) upstairs and another Jimmy’s downstairs. As we go to press we can also confirm that the most immediate next stop for Jimmy’s will be Ormond, in early 2014. Why Ormond? “People thought I was mad when I said I wanted to open a Greek tavern down the arse end of Brunswick, but that did alright”. Point taken. “Every Jimmy’s store will look different; there’ll be certain elements in common but it will need to fit the location and the demographic,” he explains. So matzah ball souvlakis in Ormond then? “Absolutely,” says Calombaris. For a film producer who opened his first restaurant as “a side project”, you have to hand it to Matteo Bruno. When his New York-inspired Meatball & Wine Bar opened in Flinders Lane in August last year, the public responded with instant approval. 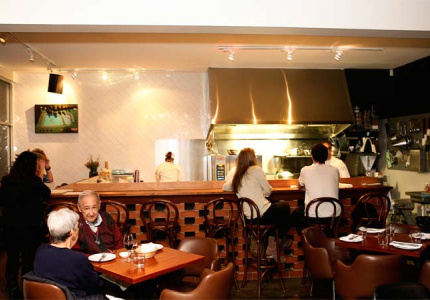 Filling an obvious niche in a highly competitive dining precinct - which had plenty of top-end offerings but very little in the sub-$30 main category - it was a shrewd move on Bruno’s part. Indeed, the balls were so warmly embraced that he rolled out a second MWB in Richmond earlier this year, and he’s planning a third outlet for Windsor later this year as well as another in Sydney’s Surry Hills for early 2014. 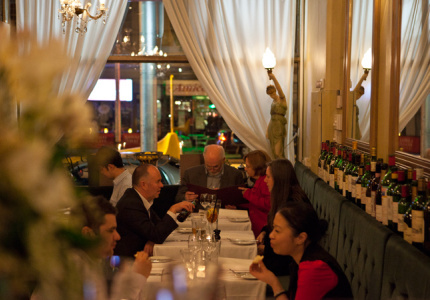 From a business perspective, much of MWB’s viability can be attributed to volume, says Bruno, and the casualness of the establishments mean that customers aren’t always looking for the full three-course experience, meaning they can turn over more covers. Being open across breakfast, lunch, dinner and late-night supper services also boosts numbers and feasibility beyond the average two-sitting, high-end restaurant model. When asked about why Melbourne has seen such an increase in the ‘new chain’, Bruno replies, “In the past, operators would try and have various concepts and it could be hit and miss. But if something works and you can identify a market for it in another area that’s big enough to support it, then why not? All the systems are in place, all the branding and infrastructure is there. In business terms, it makes sense”. So how many is too many for Meatballs? “Three is as many as I want to do in Melbourne,” Bruno concedes, though there’s talk of a possible Meatballs in Perth. Despite a hectic workload, there’s no sight of Bruno’s entrepreneurial spirit flagging and the wheels are already in motion for his next venture, which he says will have a Japanese bent. Maybe it says something about our shameless collective addiction to the brew, but it seems like our specialty coffee shops somehow attract less scrutiny when replicating their brand. Dukes, Padre and St ALi have all done it and for most consumers, finding a new outlet in another part of town is seen as a welcome bonus – particularly if it brings a good product closer to home (or work). And when the product in question is exceptionally good coffee, then it’s unlikely there will be too many detractors in a town like Melbourne. 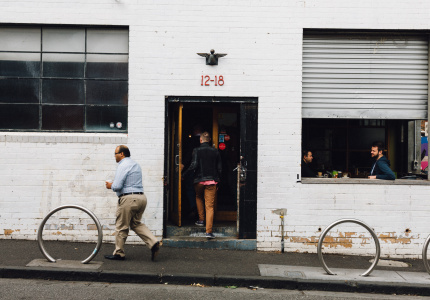 When Fleur Studd and her business partner Jason Scheltus opened the first Market Lane Coffee at the Prahran Market in 2010, there wasn’t an intention to create future venues. Initially, because of the strong focus on their retail coffee beans, their business was all about “being a place where we had an audience of people who appreciated food and good quality fresh produce” recalls Studd. “For us, being in a market setting was really important so when the [second] Victoria Market site came up it was just a really exciting opportunity”. The pair’s third store, in Carlton, opened early in 2013, and Studd says that at each store “you’ll come in and get a great quality product and fantastic service – that’s something that we aim to make consistent across each of our venues.” Clearly the public is happy about it, “We’re always really thrilled when a customer comes in and is excited that there’s now a Market Lane near them – there’s a lovely sense of familiarity and a lot of our customers will come to all three shops,” Studd says. Initially, McDonald and business partner David Youl wondered if that might not be such a wise move. “We were like: doesn’t that make us like a franchise and isn’t that kind of uncool?” But customers insisted that that wasn’t the case, and that they just wanted the same thing closer to home to save them the drive and the wait. After six months of brisk trade at their Swan Street outlet, McDonald and Youl expanded into the shopfront next door in May 2012 – essentially doubling their floor space and capacity in the process – and later opened a second, Windsor outlet in March this year. 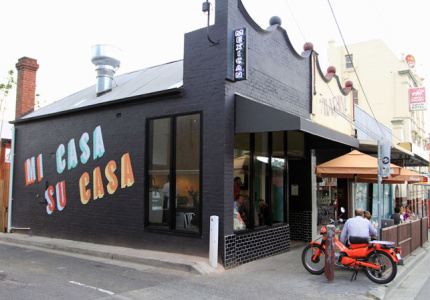 It appears that Melbourne’s taste for Fonda’s fresh and accessible brand of Mexican isn’t abating and the pair recently secured a tenancy for a third store in the CBD (due to open in early 2014). “People are used to multiple-store concepts being heavily branded, cookie cutter franchises, so the question for us is, can we grow to four or six stores in Melbourne and roll them out while maintaining the same level of quality?” says McDonald. 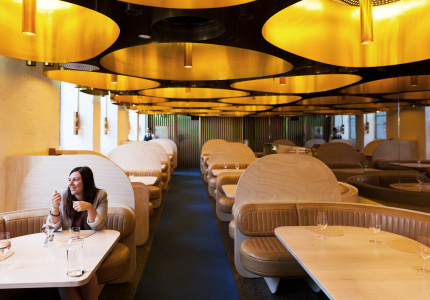 “The trick is to create a multiple-store concept that successfully maintains the quality and unique, customised experience of a one-off restaurant,” he explains. Unlike bigger, commercial chains, Fonda’s development strategy centres around the idea of gradual, organic growth, “It’s not about speed for us and it’s not like we have a bunch of private equity investors behind us who are looking for a return on investment either, so in that sense we can do it at our own pace”. McDonald imagines that the ideal for Fonda would be to “seamlessly pop up in the streetscape” in various locations, carefully investing money and thought into the design to make each store different and special. 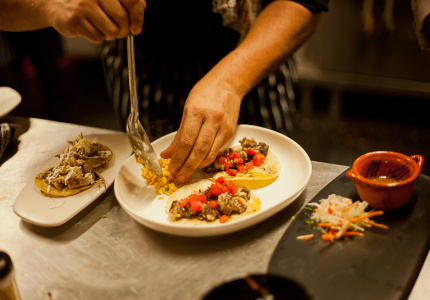 Speaking with each of the new wave of ‘chain’ operators, we get a sense that Melbourne’s food scene has entered a bold new era, one where being ambitious and thinking big might actually be okay – particularly when it means satisfying a clear public demand for an uncompromised product. What’s also clear is that the local names dominating the trend are united in their commitment to rejecting the cookie-cutter school of expansion – instead favouring unique, creative and site-specific iterations of the core brand with each new venue. Looking abroad, we’ve see a number of shining examples of the high quality chain-with-cred model doing well commercially while retaining integrity and appeal. Think David Chang’s Momofuku empire, the Mario Batali stable, L’Atalier de Joel Robuchon, and London’s Ottolenghi – all of which have successfully sustained profitability, growth and longevity – at a range of different price points. Locally, what will be most interesting going forward will be seeing how far the trend can progress before a brand’s credibility is compromised, and at what point – or after how many outlets – the public begins to disengage. One of the greatest challenges for businesses entering into this domain will be to think big but stay grounded. As diners, we are notoriously fickle, and locally we’re grappling with more choice than ever, which means that good customer service and brand connection will have increasing currency. Operators will need to grow their brand in a considered way – without compromising the same standards, allure and unquantifiable x-factor that made it a hit in the first place. And in an industry that prides itself on culinary integrity, innovation and authenticity, perhaps one of the biggest questions on the topic is: “how many is too many?” Time and the public’s response will tell – but we’ll be certainly eating well in the meantime.